Notification of acceptance is on a rolling basis. It is free to exhibit! Visitors want to learn something, so just as important as your exhibit will be your presence, explaining how you did what you did. See Maker section for further information and application link. 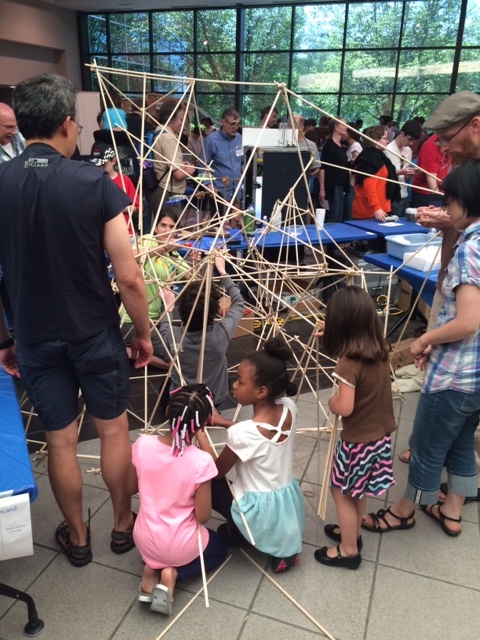 The buzz of energy at the Morris Lawrence Building at WCC on Saturday was palpable. With record attendance (1600+), 46 exhibitors including businesses, schools, entrepreneurs, hobbyists, nonprofits, and artists, 3 food trucks, and raffle prizes given out throughout the day, this year’s 7th annual faire was truly outstanding. Thank you to our sponsors for their generous donations: It keeps the faire free for exhibitors and free for attendees. 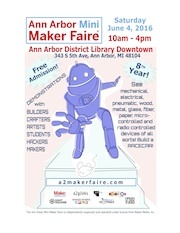 A2Geeks, Make Media, the Ann Arbor Hands-on Museum, Maker Works, Brain Monkeys, ShopBot Tools, Ann Arbor State Bank, Game Start, Robo Todd Industries and Sight Machine. And a special thank you to the Ann Arbor Hands-on Museum for hosting our Exhibitor Pre-Party. Thank you to our amazing exhibitors who provided the crowds of people with demos, projects, conversation and information. Thank you for staying up late finishing your displays and then getting up early to set them up, for driving in from all areas of southeast Michigan and the Toledo area, and for your hours of enthusiasm and energy in interacting with attendees. It was an exhausting day and you did great! And finally thank you for attending. As volunteer organizers, we strive to bring new aspects to the faire year after year. The days leading up are always a little tense, with hope that on the day-of people will show up. And this year, you certainly did: Tons of families and people of all ages, which is a testament to the curiosity and support found in our region. 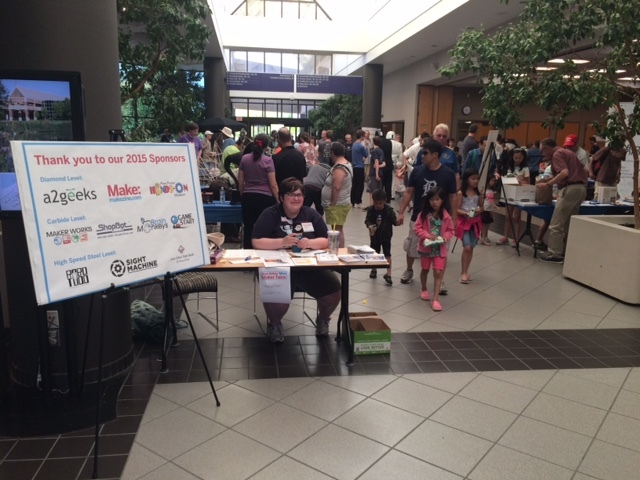 So thank you for being part of the 7th annual Ann Arbor Mini Maker Faire! And don’t forget to check out our Facebook page for lots of photos. This week is always a rush to the end, getting tickets and signage printed, tables cloths and snacks for our exhibitors purchased, and … uh-oh, what else are we forgetting!!?? Yet it always seems to come together by Saturday. Thank you to the Ann Arbor Hands-on Museum for hosting our Exhibitor Pre-Party tonight! Director Mel Drumm is a huge supporter of the faire year after year. John Bowditch and Ari Morris and their outreach/education teams put so much enthusiasm and effort in creating engaging demos utilizing both new and old technologies. When you are at the faire, make sure to look down at the ground (or in front of you!) as you walk around. There will be a few robots moving through the crowds: Brad Jensen and his Super Cheat Robot Platform, Rocks and Robots’ Flying robots, and Lauro Ojeda’s Lego Drawing Robot. 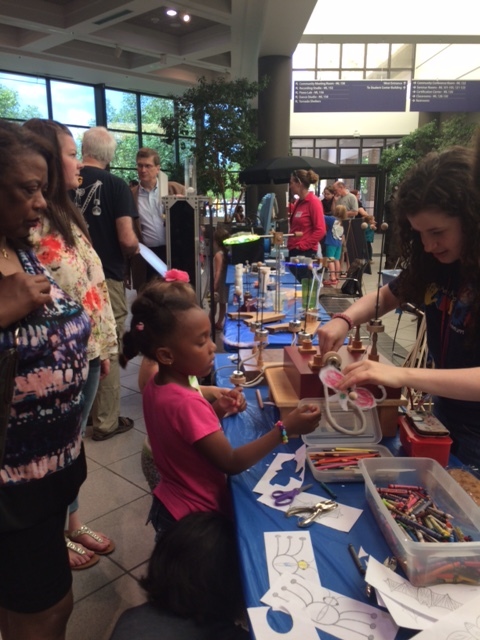 Makers in the Arts bring another dimension to this year’s faire: We don’t want to forget about the ‘A’ in STEM= STEAM. EMU’s Digital Fabrication professors and students will have some 3D printers, arduinos doing crazy things and more featuring open source software and hardware. 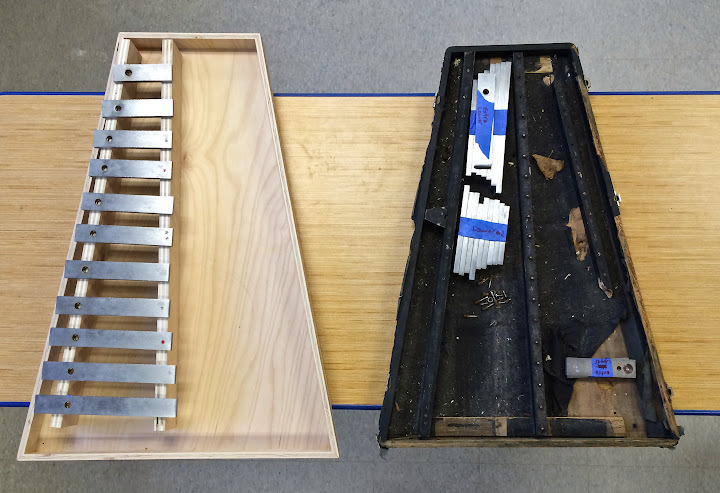 Fly Art Center is also joining us for the first time in a hands-on water-based project. And the Niji-Iro Japanese Immersion Elementary School is going to teach us a few traditional Japanese crafts such as fish-printing and origami. REMINDER: Get your tickets NOW for the Faire! Though they aren’t required because the faire is free, it helps us keep track of each year’s attendance record. 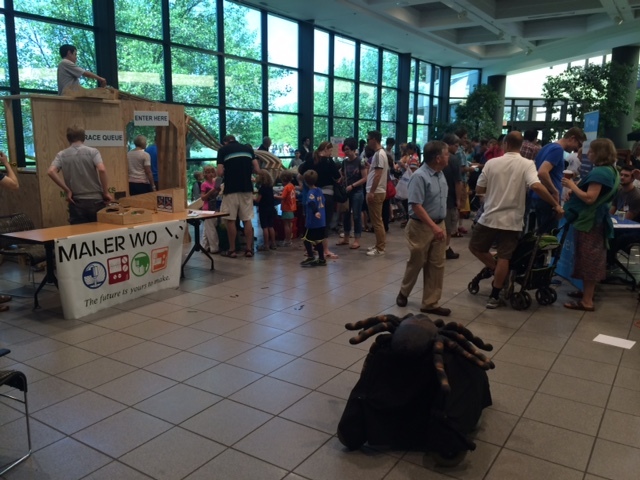 Amazing group of Makers at the 2015 faire! A2 STEAM’s 6th grade percussion group set to task on rebuilding a set of orchestra bells that were in horrible disrepair. They will be on hand to show us just how they tackled this project. 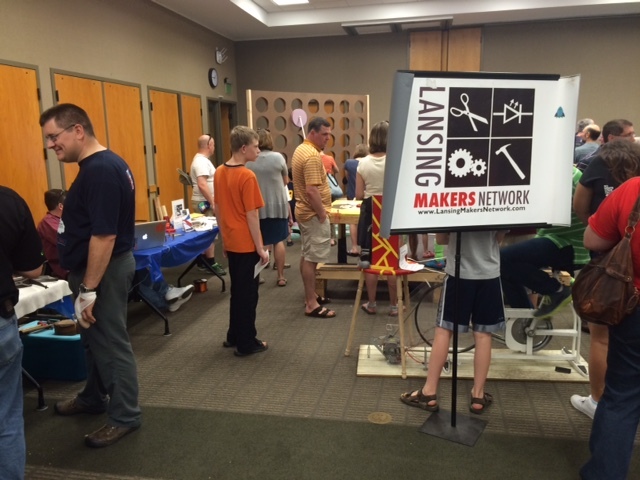 All Hands Active will be at the faire once again along with Maker Works, the Lansing Maker Network and the Grange Junior Makers. Year after year these groups bring something fresh and new with them to share. We are grateful for their continued support! And we also have a bunch of new Makers joining us! e-NABLE is an extensive network of makers with 3D printers who build and then assemble devices for those born without fingers. 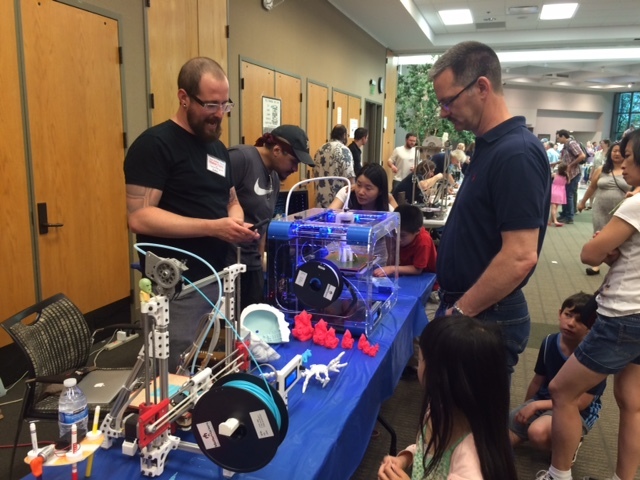 They will be here printing parts and you can learn how to assemble some of the devices yourself! Coming in from Toledo is the University of Toledo’s Maker Society. They are a student organization aimed at providing tools, from 3D printers to hand tools to CNC machines, for all students to use no matter what discipline they may be studying. Another great addition to this year’s faire is Ann Arbor’s favorite creative space for kids (and adults! ): the SCRAP BOX! They will have some of the amazing and sometimes strange recycled materials they tend to have in stock. Check back soon to learn more about this year’s Makers! 2015 Food carts & trucks! THE FOOD TRUCKS & CARTS ARE HERE!!! At this year’s faire, the lunch options have expanded. THANK YOU to Sweetwaters Cafe, Ray’s Red Hots and El Manatial for joining us! Sweetwaters Cafe is one of Ann Arbor’s favorite coffeeshops. Serving specialty coffees and teas (including their own amazing Ginger Lemon Tea now sold at various markets), they also have sweet and savory desserts and sandwiches. And they recently expanded to Ypsilanti! Ray’s Red Hots has both a storefront on E. University in Ann Arbor and two carts that are staples at U of M football games, school events, parties and more. They serve up gourmet hotdogs, sausages and burgers including vegetarian options. They love what they do! El Manatial is one of the best food trucks located at Mark’s Carts in Ann Arbor. Owner and chef Mariano Rodriguez serves authentic Mexican recipes inspired by his family’s restaurant in Mexico, which has been in business for over 35 years. We welcome the opening of their 2nd food truck at the 2015 faire! We hope that you will stay for lunch and sample the amazing food offered at this year’s faire! CALLING AREA MAKERS OF ALL AGES! 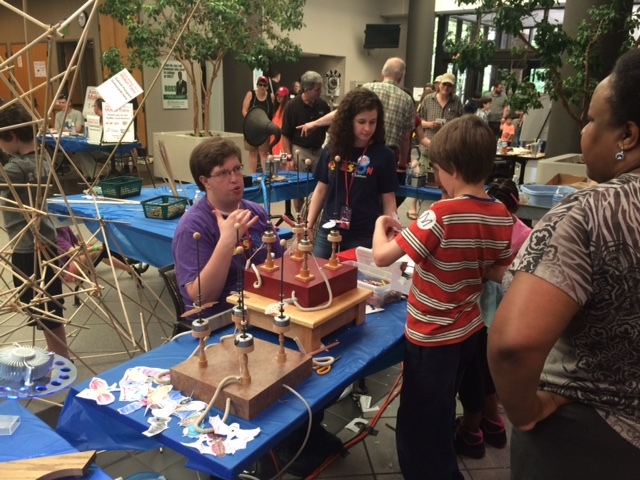 You can now apply to be a part of the 2015 Ann Arbor Mini Maker faire! 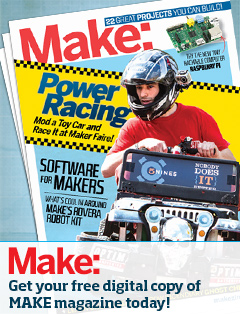 *Youth makers from elementary school age on up to high school, including home and public school groups. New to this year’s faire is a separate ‘DEMO’ area featuring 1-time only demonstrations that are 10-minutes or less. Demonstrations that KAPOW! BANG! THROW SPARKS or CONFETTI! WHISTLE! Or just make sense that the demo would only happen 1-time during the faire. You do not need to have an exhibitor booth in order to participate in the DEMO section. But you still must fill out the Call for Makers form so that we can coordinate everyone. If you decide to do both an exhibitor booth and something in the DEMO section, your 1-time only demonstration should be different than what you display in your exhibitor booth.